If you could choose your own family, would you? Actually, don’t answer that. We don’t want any trouble. But chew on this: If you’re an entrepreneur, you kind of can choose your family. Not the kind who’ll lovingly change your putrid diapers, but the kind who will unwaveringly support you and see the genius in your seemingly balderdashian ideas. 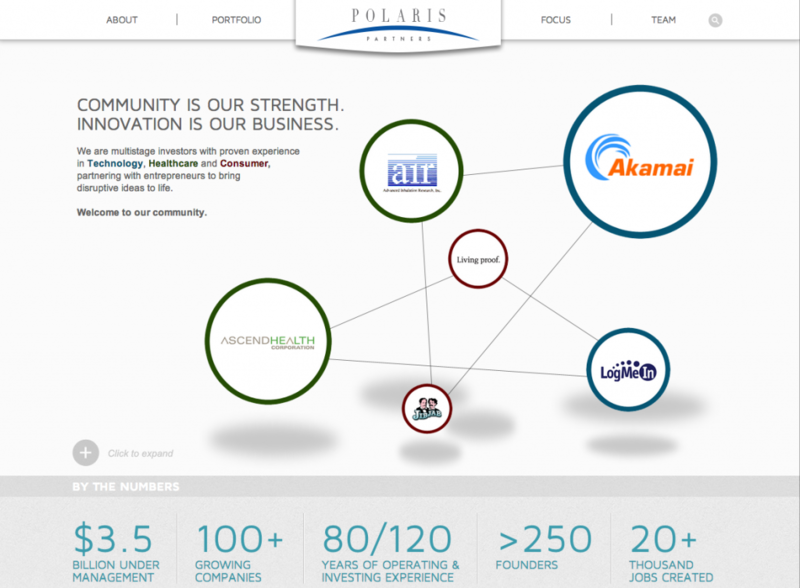 Which is why our venture capital client Polaris is fortunate to have some highly impressive lineage. As in, their 120 years of collective investing experience. And the fact that they’ve launched more successful companies than Rihanna’s had hairdos. 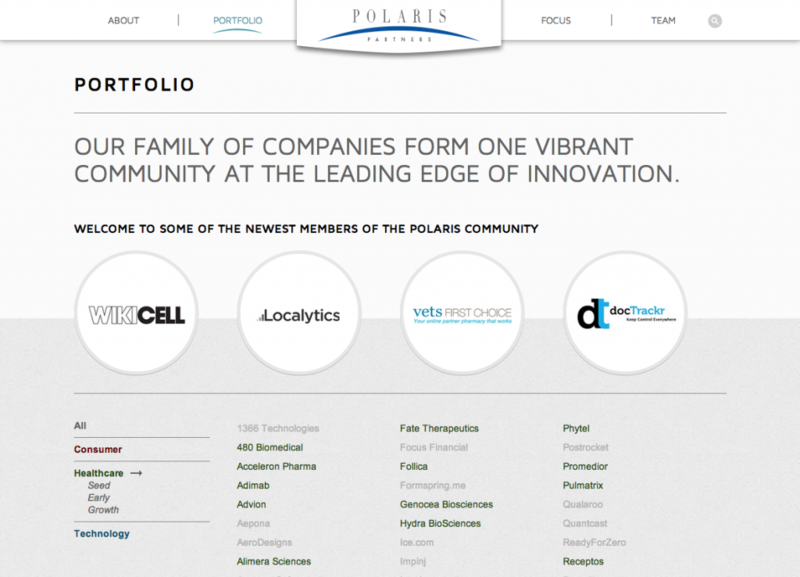 It makes partnering with Polaris like joining a huge extended family – one made of brilliant, enterprising leaders with the power to help you change the world. It’s an enticing proposal, and a far stronger hook than the typical VC laundry list of faceless company names. 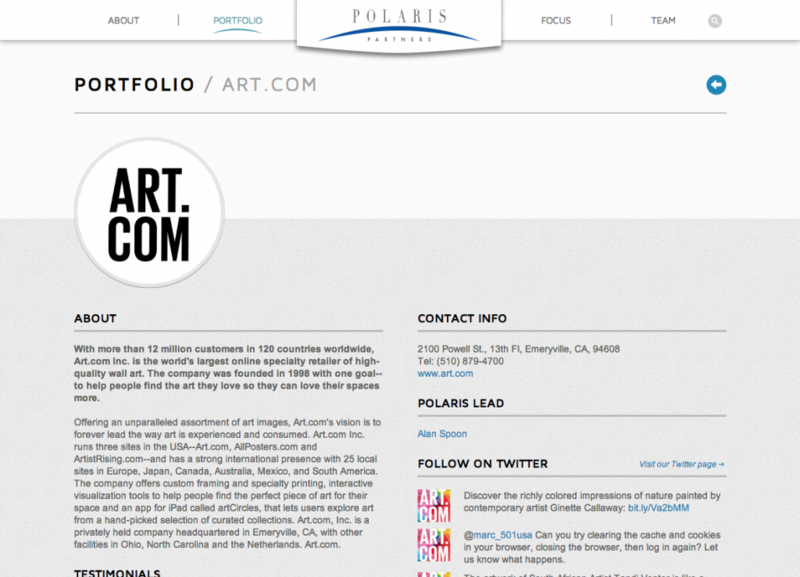 With that to guide us, we focused Polaris’ website design around the idea of “A Smarter Community.” What makes communities so appealing is that they feel alive. So we did everything we could to make a 2D site feel as 3D as possible – not just visually, but from a content perspective, too. That led to pulsing, changing circles as a key design motif. Also, a live mashup of blogposts, partner news, and a video with entrepreneurs’ tales of “I Did It; So Can You!” Because it’s those vivid accounts and connections with humans that cajole other humans into salivating over a brand. Bon appétit.